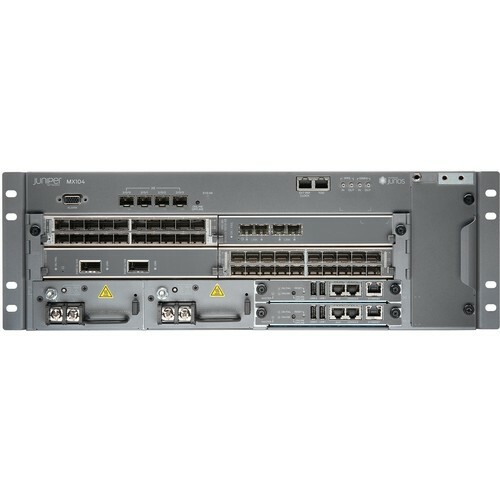 Juniper Networks MX104 3D Universal Edge Router is optimized for the aggregation of mobile, enterprise WAN, business, and residential access services. 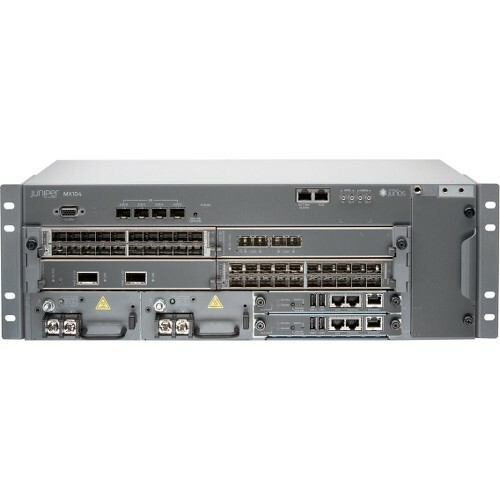 Based on a central office-optimized MX Series chassis supporting a redundant control plane for high availability, the MX104 is temparature hardened to allow deployment in outside cabinets and remote terminals. It also provides inline services by extending the service edge to the aggregation domain. The MX104 incorporates industry-leading timing and synchronization technology to enhance quality of experience (QoE) for mobile broadband, and is managed through the Junos Space Network Management Platform for rapid service design provisioning and lower TCO.